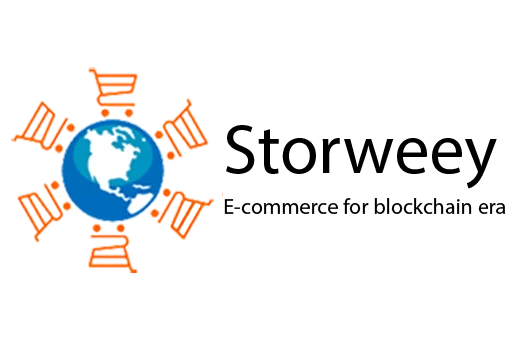 Hello everyone, today I will introduce an online E-Commerce platform which will be built using blockchain technology, that is Storweey. Storweey is a platform created for buyers and sellers all over the world. With an online store, any seller is able to create their own account to sell their goods and services, while making use of the platform’s wide range of features for a minimal fee. Storweey integrates all the necessary tools for starting the trade and promoting the items to other countries’ markets. This is useful not only for first-time entrepreneur and start-ups. An easy-to-use platform allows to online account and manage it without additional expenses and staff. Our service offers great opportunities for self-employed entrepreneurs, small-scale to medium manufacturers, retailers family businesses and makers of handmade crafts, including a selection of tools for direct customer feedback, bookkeeping, sales analysis, advertising and promotion, as well as a convenient, user-friendly interface. One of the main features of Storweey is the use of blockchain technology, which allows to make the platform transparent, open and as safe as possible for both transaction parties, reduction of transaction costs and business costs, and simplification of the purchase process. Decentralization, globalization and the opportunities presented by the use of cryptocurrency in the project are our competitive advantages over other business solutions existing in the market today. The key part in the system is assigned to token. Paying for a purchase in tokens the customer may count on the best offer. 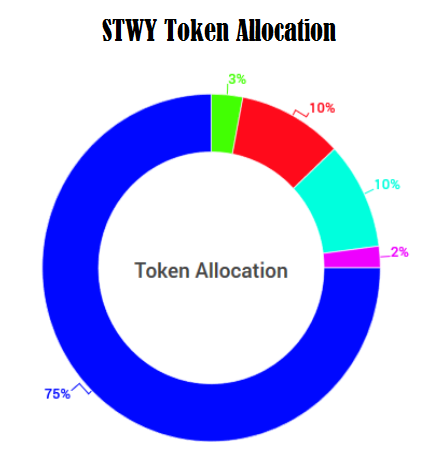 The sellers need to pay the fees and other platform services in STWY will make hard basis for stable condition of token value. Making purchases in Storweey stores using STWYtokens. Purchasing goods through the platform with tokens, the buyer can count on a bigger cash back and better offers. It’s important to mention that all the transactions in cryptocurrency will be seen in the blockchain. By paying for an item using the platform, the buyer(consumer) gets an additional protection of the transaction because of the smart-contracts and the Storweey warranty. Consequently, to carry out a transaction outside the platform is less profitable for both of the parties, as they get a number of advantages when using the system. Storweey will offer customers a wide range of services (prioritizing in search results, rating systems and appearance on the main page) allowing to attract more buyers. All these services can be paid for with STWY tokens. I was wondering you'd be interested in including a link to http://bitcoinhatclub.com at the bottom of your posts in exchange for a follow and upvote? We're trying to raise awareness for Crypto through fashion and help foster mass adoption for the benefit of all HODL'rs. Let me know what you think!